i have never seen until this series a anime character deal with sickness and death quite like the characters in this series. while you may at the end feel that it takes cues from Akira. it story is about social injustice and welfare of the hearts and souls of people trying to live the life that they deserve. while it has a incredible soundtrack. the story more then lives up the hype a major anime you need to watch and the movies and side stories too. This show has everything going for it. Great characters, story, and animations. The character development throughout the show is deep and meaningful. While a romance at heart there is plenty of action as one would want from a mecha genre. The animation of the mechs "surfing" the skies and their intense battle scenes are gorgeous. You can tell actual thought and effort went into making this spectacular series. This show will forever be in my top 10 list of best animes of all time. If you're looking for an amazing show to binge watch, this will definitely grab and keep your attention from start to finish. I remember watching this so many years ago...and it still delivers. The animation is great, the story is very moving, and there is great character development. One downside to it is the fact that it has this horrible ability to churn my stomach and make me not want to see what happens next at times...even though I want to see it and already know what is going to happen. So Happy This is On Crunchy! 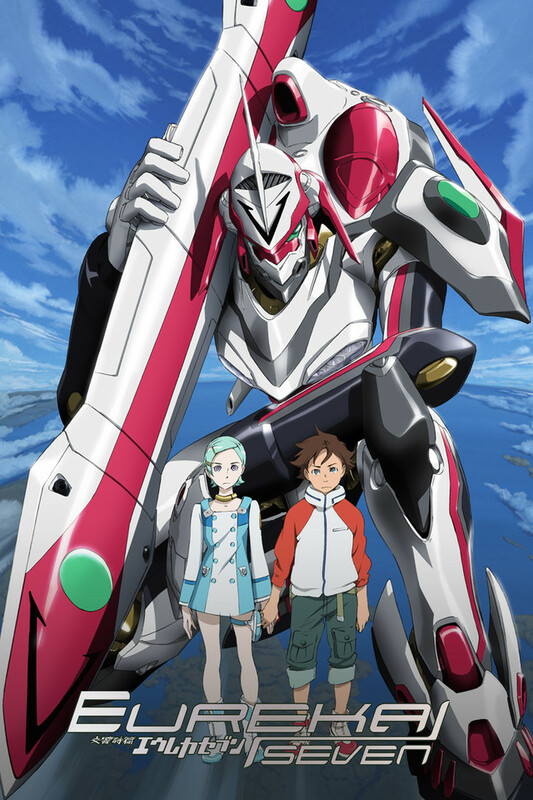 Oh my god I'm so happy to see Eureka Seven on here! If you feel a little turned off by the mecha, don't! This show definitely has something for everyone, I especially love the romance in it. By the end of the season I was completely hooked. It's a beautiful series, 10/10 would recommend watching!